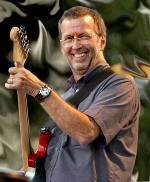 Eric Clapton will be featured in a Classic 60 Minutes episode. The VH1 Classic series compiles vintage interviews with musicians, taken from episodes of CBS' 60 Minutes, and expands them with previously unseen footage and updates. The opening show, featuring Clapton, will air at 8 p.m. ET on Jan. 6. Launched in May 2000, VH1 Classic is a 24-hour network that presents videos, concerts and music specials all day long, featuring the best of rock, soul and pop artists from the 60's, 70's and 80's, including The Beatles, The Stones, Tina Turner, Led Zeppelin, Marvin Gaye, The Who, Stevie Wonder, The Police and many more.